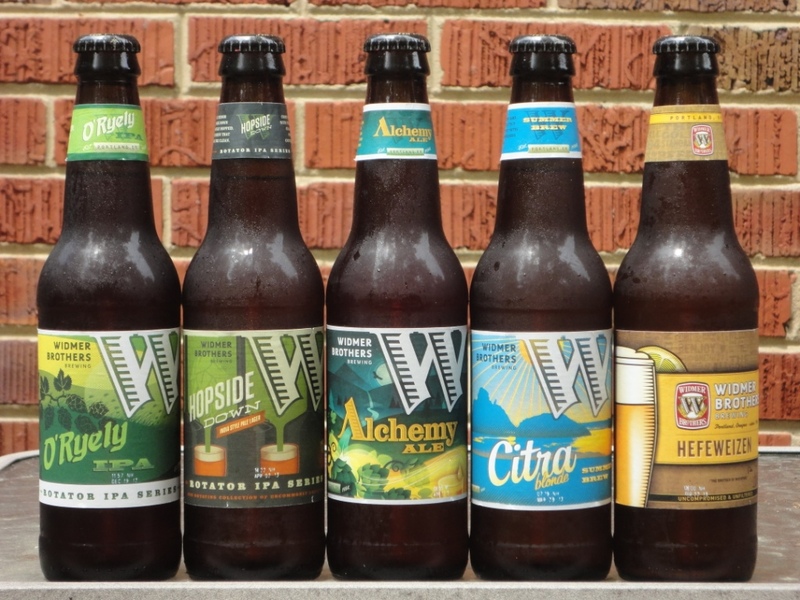 In this installment of the Beer of the Week series, we highlight Widmer Brothers Brewing from Portland, Oregon. This series is inspired by the weekly beer special at Magruder’s, my go-to DC beer store. I usually buy one mixed case of the Beer of the Week, but when Widmer was on sale, I bought two cases because I wanted at least one six-pack of five different brews. And I’ve been a Widmer superfan since I attended their Explore Your Craft event last fall. O’Ryely IPA (6.4%), part of the Rotator IPA series, brewed with rye and New Zealand hops. Hopside Down (6.7%), also part of the Rotator IPA series, this India Pale Lager is aggressively hopped and has the clean, crisp finish of a Lager. Alchemy Ale (5.8%), love this description: We practice alchemy every day turning water, malt, hops and yeast into liquid gold. Alchemy Ale melds years of experimentation and our special Alchemy hop blend, in a pure expression of brewing art and science. Citra Blonde Summer Brew (4.3%), this refreshing Golden Ale is brewed with Citra hops.